If you follow our forums, this will be old news, but we thought we should make the official announcement. We've been working hard on another Pre-Party, and somehow we are going to make this one even better than last year. 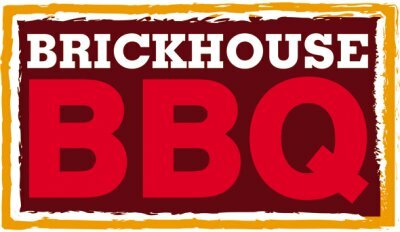 For the third year in a row, we are working with Brickhouse BBQ on this. They have been a great partner not only in providing the best location that we could find in Madison, but in really working with us to help organize the party itself. Their passion for craft beer is evident in how they work with us every year, coming up with ideas to make the party run more smoothly. This year, we're working to make sure that the service is even better, so you don't have to wait to grab another one of the great beers that will be offered. Here's what you really care about, the beer. Central Waters, Shorts, and Nebraska are all back for 2012! Last year I think the breweries did a great job of providing both rare beers, cover as many styles as possible, and have some great sessionable stuff available as well. Expect much of the same this year, but we're planning on filling all of the available 40 tap lines. Central Waters and Shorts are each planning on filling 15 lines, with Nebraska filling 10 again this year. Rumors are that we'll have some cask beer this year as well, and we've been talking with a fourth brewery about taking a couple of lines. 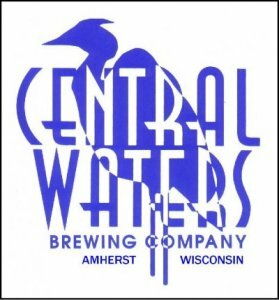 A little about Central Waters Brewing Company, "Brewing since 1998, Central Waters Brewing Company is built on the solid reputation of producing the finest quality beer in Central Wisconsin: Ouisconsing Red Ale, Happy Heron Pale Ale, Mudpuppy Porter, and many more." Personally, I love all of their dark stuff. From the easier drinking Mud Puppy Porter to the Bourbon Barrel Stout, you can't go wrong. I got the chance to try 1414 and La Petit Mort this year too, and they are great additions to their lineup. Anello and crew make great beers! The thing I love about Shorts Brewing Company is their versatility and experimentation. They go from having a rock solid IPA to making beer work with ingredients that you might not have ever considered. 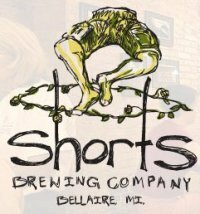 "In April of 2004 we opened the doors to Short’s Brewing Company in the quaint Village of Bellaire. Beer was the mission, and liberation was the movement. With a lot of elbow grease, blind ambition and a little luck, the quest to create a community pub in Northwest Lower Michigan began to take shape. The philosophy was to bring an appreciation of craft beer to the north with product education and creativity. The process of appreciation through education we call beer liberation." We're really happy to be working with Shorts again and can't wait to try more of their beers. Working with us for a second year is Nebraska Brewing Company. Last year it was great to sample more of their lineup. Rock solid beers through and through along with some great Reserve Series stuff aged in a variety of different types of barrels. Also last year, I was lucky enough to make to the Great Nebraska Beer Fest. I was surprised at how organized it was and how much great beer there was. They had a very nice educational tent as well. I highly recommend you try to make this year's fest if you can. "Located in Papillion’s hoppin’ Shadow Lake Town Centre, Nebraska Brewing Company is a relaxed dining destination complemented by incredible, fresh handcrafted ales. Locally owned and operated, it’s our aim to share our passion for beer and food with everyone who walks through the door. When your stomach’s growling and you’re feelin’ parched, head to Nebraska Brewing Company for casual American fare, a full bar, and a great time. Our knowledgeable staff will assist you in creating the perfect beer and food combination. Oh, and on your way out, be sure to grab a growler of one (or two) of our fine ales." I'm looking forward to being able to try more of their beers this year. We're in the process of trying to finalize the beer list for the event. We'll get that up as soon as we can along with any other details that develop. Feel free to offer up suggestions and questions and we'll do our best to accommodate or answer them. We can't wait to see all the familiar faces as well as meet lots of new people this year.